Try it again maybe, then compare to a Penn Int 50 that is milled from a solid billet. I may have exaggerated a tad for effect but the point is if you feel *any* flex the reel is getting close to it's max before failure (which meets my criteria for ready to 'splode ). When you crank under heavy load also look at your gear shaft and you will see clearly noticeable flexing as the bridge is simply not supported in a material that is as rigid as solid aluminum. That's why a Int 50 is so heavy. To prevent all of the above and fish 25lbs of drag utterly reliably. When you hammer the drag down on a 113h you have reached what the Penn Engineers think the entire package is engineered to fish reliably for years. That is what I was talking about when I said "decades of real engineering training". These products are not made by seat of the pants guesstimation but by calculation of forces, an understanding of materials and a chosen level of performance for the price. When we tank up our 113's we are essentially re-inventing the Baja Special 113HN mod by mod. Take a careful look at that design and you will see everything already incorporated and refined with even a little more in the casting department. When you have a basic understanding of every change in the 113HN design from a stock 113H you will grasp everything the tank process is doing. Unfortunately Penn does not make them in anything other than that one size and gear ratio. John good point. 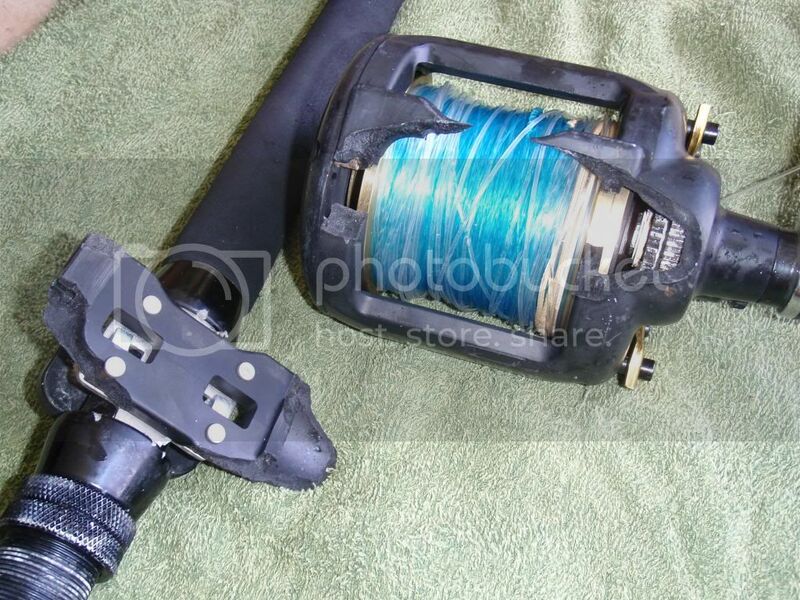 Try putting 20# of weight on any reel and hold onto it for say...20 mins. This is an EXTREMLY hard thing to do. 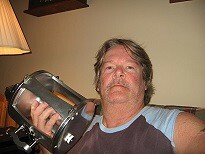 It wasn't me, my big reels are metal framed. and I thought it was supposed to be fun catching big fish on 'light' reels. When ever you are ready to upgrade your reels, I will be more than glad to help. Every one has their own opinion of things on here. I just wanted to make sure you feel Welcomed. Not scared away by all the fluff. I sold my Baja Specials and now just use my Tanks. If u don't want 2 do all the work get some Baja's. They are solid reels. I just love my tanks, they are kinda like my favorite gun. I bought new fancy stuff but I found myself always picking up that same gun when hunting season started. Same with the tanks, ole reliable. If u want a killer bottom setup use a tank mounted on a ugly stick tiger jigging rod. 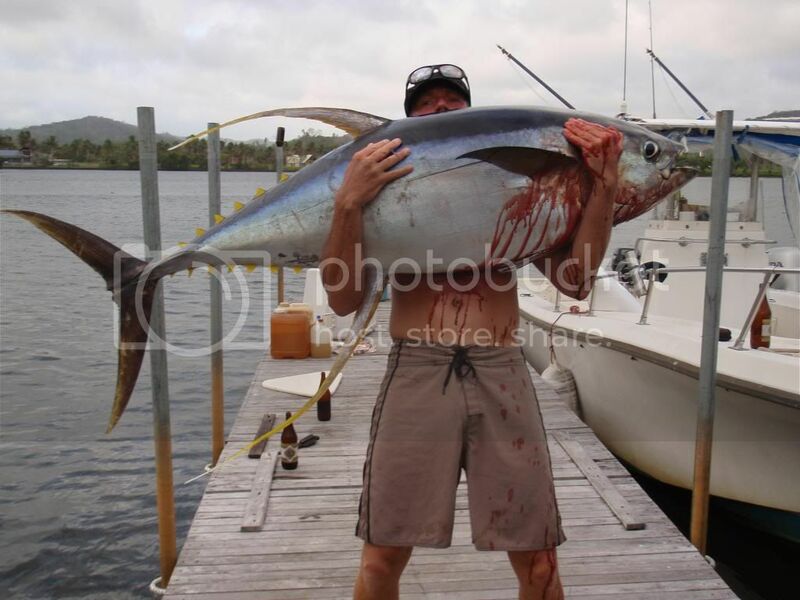 Tightlines, I thought when you get a large YFT with sickle type fins this was referred too as an Allison? At least that's what we call them up here in the NE. Is that you holding up that Allison Eric? Looks like two 40 ouncers of Old English sitting on the Dock.